Lovely luxury Bed and Breakfast in the heart of Game of Thrones country in Ireland. Working with long standing client Maureen and involved in the project from when Maureen was looking at / buying the business takeover in early 2015, we knew that we were onto a good creative collaboration with this website. 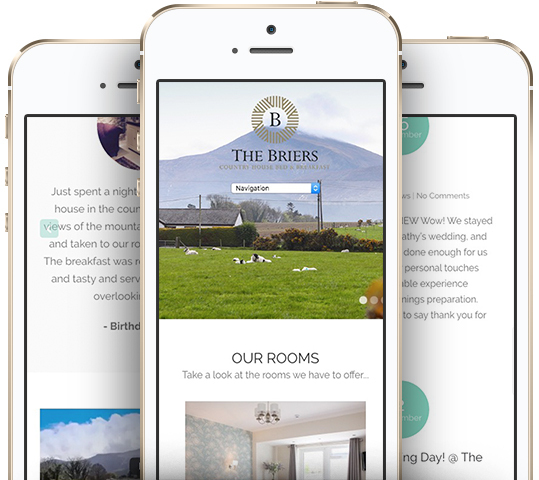 Client The Briers Country House Bed & Breakfast, Newcastle, Ireland. Skills Website Design, SEO, Website Hosting, Website Updates, WordPress Updates. 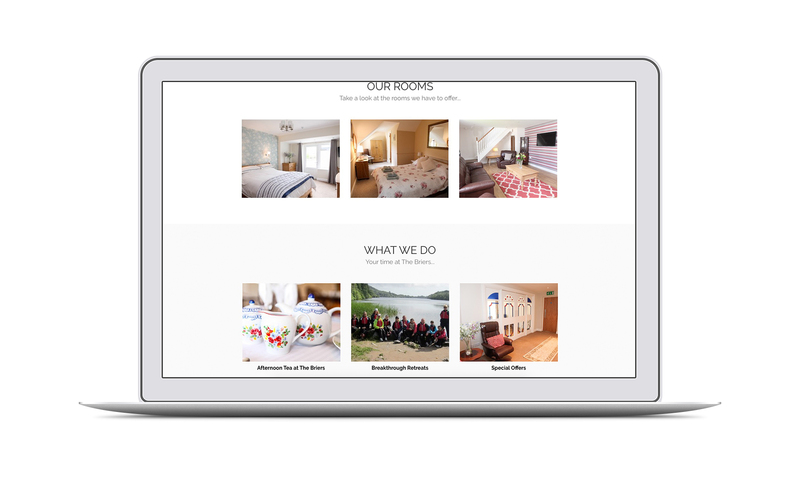 Of course using WordPress, this site incorporates specialist professional photography to showcase rooms and surrounding grounds and property. The B&B boasts a luxury holiday home also so we needed a flexible solution. The website incorporates Maureen’s online booking partner through widget use. We updated the blog so that latest reviews from other sites, news and events could be showcased here. Easy to find location information and phone number is key here, so these are present on every page. The site is of course fully mobile responsive. 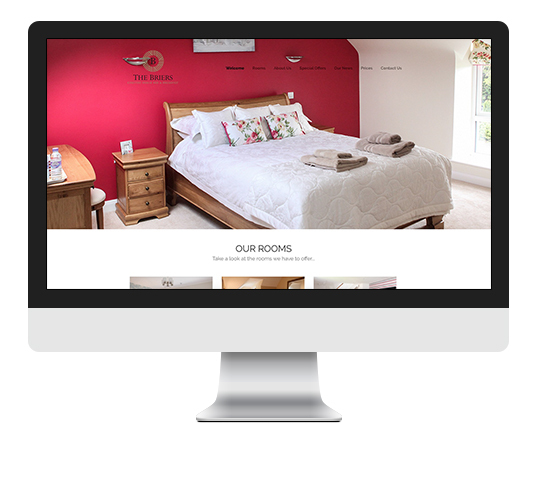 With testimonial slider; Maureen has recently introduced a video to the homepage which tells the whole Briers story and well as insight into their lovely surroundings.